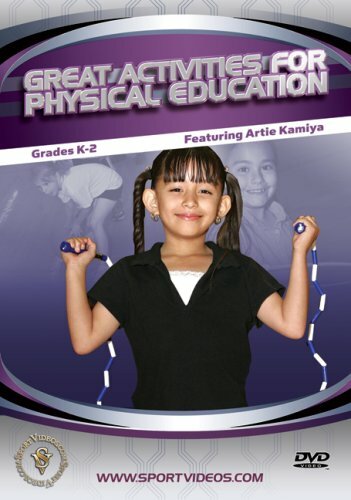 In this unique program, Artie Kamiya presents several fun physical education activities that promote student fitness and skill development. The DVD provides numerous developmentally appropriate activities for students in Grades K-2. Teachers will be able to save invaluable planning and preparation time. Games and activities included are: Walking through the Jungle, Let s Go Hunting, I See, The Egg Game, Ninja Turtle Tag, Seals and Sharks, The Birdie Dance and Birdie Dance Tag, The Seven Jumps Dance, Cranes and Crows, Odds and Evens, Jellybean Tag, Octopus Tag, Fish Gobbler and People to People. All of these activities can be easily implemented into any curriculum.